As the blogging world is getting hits from all over the globe, the competition is getting tough day by day. To stand out from crowd, you must be good, not only in your articles, but your SEO tactics as well. I have seen many websites getting spoiled because of low rankings in search engine and this happens because of SEO mistakes that the website owners do. If you are also running any website, then go ahead and read this article to know about the top most SEO mistakes that spoil your websites ranking. All of you know that to get success with your website, you need to have good PR. Backlinks decide about your website's page rank, But only with the relevant ones. Means there is not any benefit of getting a back link from a health related website while you are running tech or any other niche. This is called irrelevant linking and instead of showing any positive results, it always results in negative ones and thus spoils your website completely. This is what the big G, Google and other search engines hate the most. Many of the website owners try to be over smart by using the wrong keywords just with the hunger to shine on the top of search results. Keyword Stuffing is the worst SEO mistake that any website owner do. There are many owners who perform that and then end up with the frustration over getting their sites banned from search engine listings. Come on, it's matter of common senses as well. Suppose you are writing an article about 'Web Designing' and there you are talking about the entertainment stuff, then to how much extent, this is good to do? Of course to zero. Not only the search engine will penalize you for this, but the readers will also not stay longer. Some people don't care about their website's design and it's another big mistake. The theme is not for the appearance purposes only, but for the SEO as well. 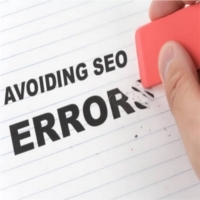 There are many websites which have got penalized by search engines, because of using a poor design. Come on, the website templates are available for free, choose one SEO friendly from them, rather than going for a poor random design. Some people don't want to work hard and want to earn a huge success. The perfect examples are copy cats who just copy the articles from other websites and use on their own. The search engines detect them and spoil the website's ranking. The SEO starts from content and what one can do, if you have copied it from somewhere else. Many people just write articles in their websites without doing any internal linking. Internal linking is must for the SEO point of view. And if you are not doing that, you will soon find your website in the Spoiled websites' list. Do you want it to happen? About The Author: Tim Wilson works as content manager for HostPapa, a web hosting Canada Company serving over 100,000 customers. Since launching in 2006, HostPapa has offered reliable, budget-friendly, easy-to-use Canadian web hosting solutions for small to medium-sized businesses.